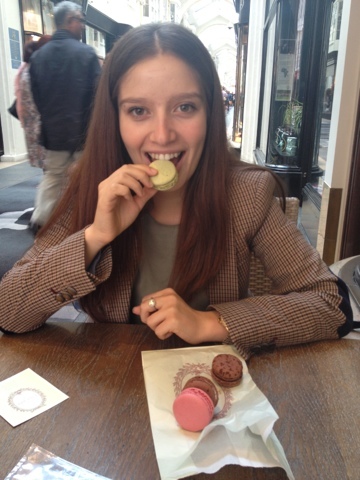 My first time visiting Laduree in London! So pretty, so delicious! 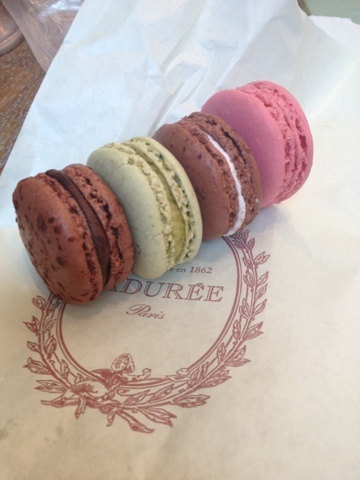 I got rose, chocolate coconut with marshmallow filling, pistachio, and dark chocolate! Um, I am a tad jealous right now. 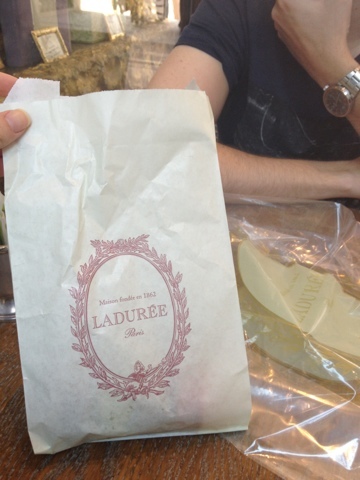 Those look so delicious - and esp since they are from Laduree! Those chocolate coconut macaroons look delish! So cool you were able to visit London!